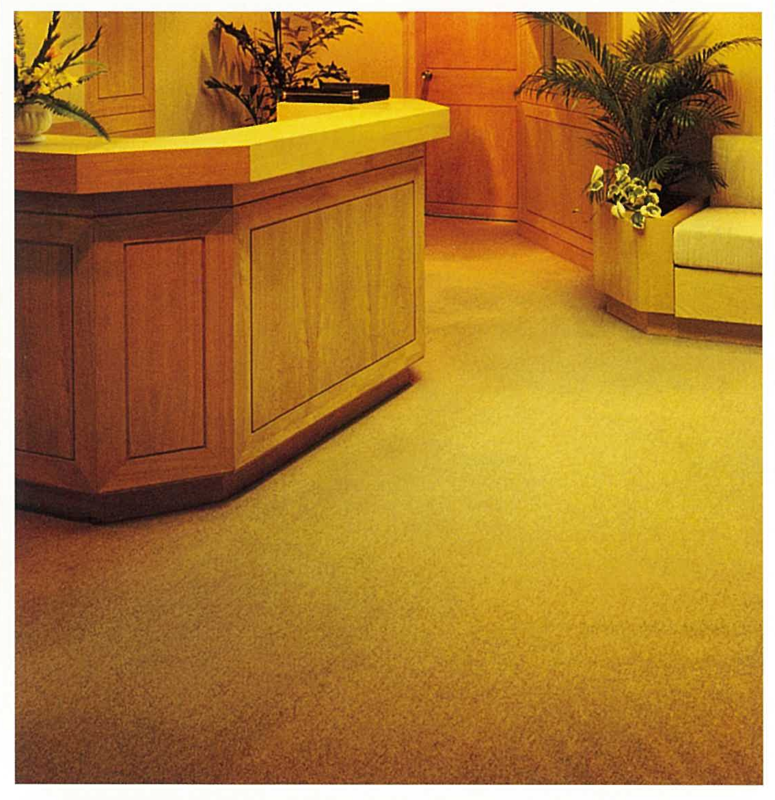 Commercial carpet is an important part of the total image investment for a company. It is the background of choice to enhance the beauty of the draperies, furniture and paint used to project your company image. The carpet, however, will deteriorate in appearance even more quickly than the furniture or draperies due to heavy foot trafﬁc and soil. This will adversely affect the company image you are going to project. Traditionally, a carpet is cleaned when its appearance is unacceptable - it looks "dirty". After cleaning, the carpet usually does not return to its original high appearance level due to fibre damage. Over time, the carpet appearance continues to deteriorate and the carpet has to be replaced prematurely. "Prevention Before Is Better Than Cure After." Most commonly, carpets "ugly out" before wearing out. 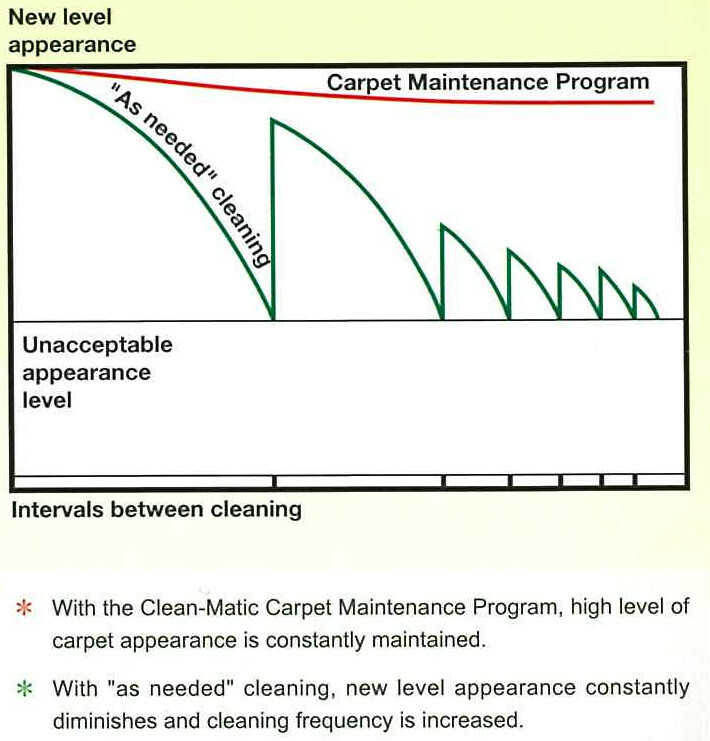 To avoid premature carpet replacement, a cost saving, effective and routine commercial carpet maintenance program, Clean-Matic Carpet Maintenance Program, is essential to protect against the foes - dirts, grease and stains. 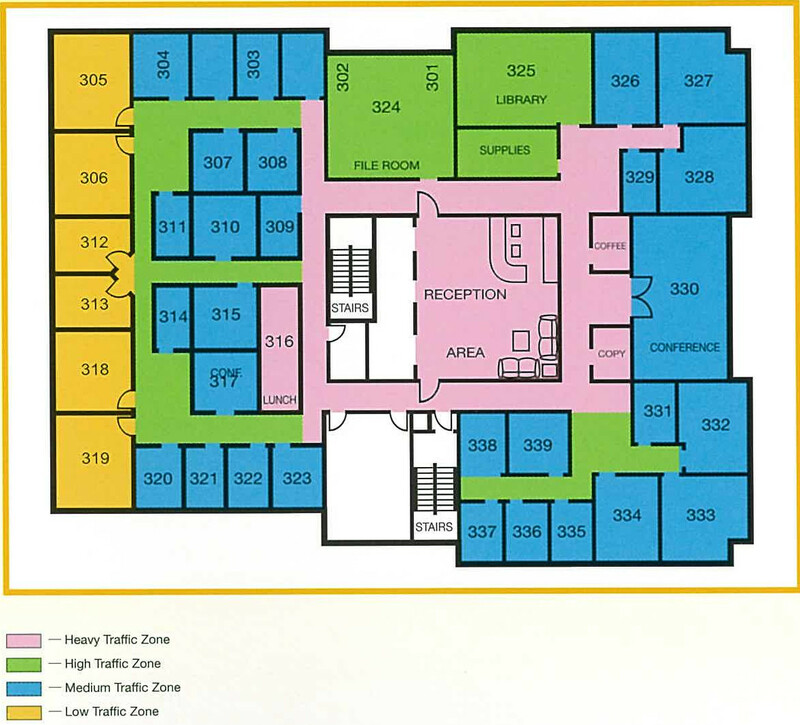 Our Clean-Matic Carpet Maintenance Program is tailored to your firm’s specific traffic and maintenance needs. Your carpet can be kept at its highest appearance level through timely removal of the fibre damaging soil on a regular and systematic basis. The result is extended carpet appearance, extended carpet life, and continued projection of your company image. Taking into account of the various factors affecting carpet life and appearance such as office environment, different traffic conditions, carpet quality, colour, design and installation, we will devise a maintenance program best suited to the specific needs of your office.